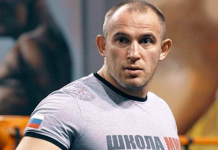 With undisputed lightweight champion Khabib Nurmagomedov currently shelved due to his suspension from UFC 229, the lightweight division once again needs sorting out. 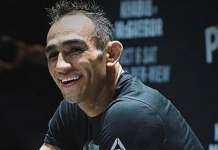 If yet another interim title is set to be introduced, one would have to imagine that the most likely pairing of fighters to get that opportunity would be Dustin Poirier and the former interim champ, Tony Ferguson. However… That may not end up being the case if Donald Cerrone has anything to say about it. In the wake of the rumblings strengthening when it comes to a potential bout between himself and Conor McGregor, Cerrone teased the following possibility. 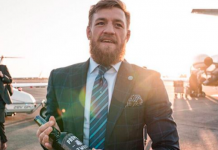 “Good News @thenotoriousmma looks like we get to fight for 155 Interim Title vs @properwhiskey vs @budweiser” Cerrone said on Instagram. Assuming that Donald Cerrone vs Conor McGregor actually does come to fruition and it does end up being for an interim title, it would mark only the second career UFC title shot for Cerrone. His first coming in late 2015 when he suffered his second career defeat to Rafael Dos Anjos. 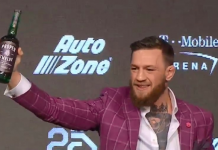 As for McGregor, he would be getting to reclaim gold immediately after his title-challenging effort against Nurmagomedov at UFC 229 in October 2018. In his last outing, Cerrone returned to his longtime home of the lightweight division after a stint at welterweight where he went 5-4. 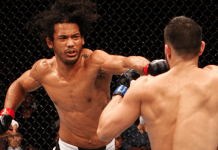 In that return to lightweight, he impressively dispatched of the hot prospect Alex Hernandez at UFC Brooklyn with a second-round TKO. Along with Nurmagomedov, McGregor is serving a suspension as well for the post-fight skirmish at UFC 229. 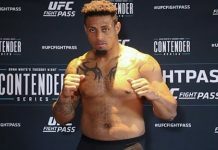 With his suspension ending in April, that would make him eligible to return just in time for UFC 236 on April 13 which has no bouts announced for it yet.